Whenever we think of earphones, images of tangled wires and unsettling ear speakers pop up in our heads. That's because earphones have been made this way since their introduction. Their sound quality has improved leaps and bounds over the years, but their build has failed to evolve. There was no way we could imagine earphones without cords... until now. 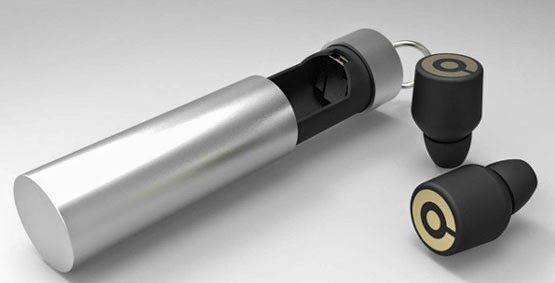 Dubbed the Earin, the earphones in the above image are possibly the world's first smallest, cordless earphones. Presently a Kickstarter project, these earphones work independently of any cords whatsoever. Sounds like something straight out of a Bond movie? Well yes, it isn't anything short. Doing away with the cords, these tiny noogers connects to your device via Bluetooth. 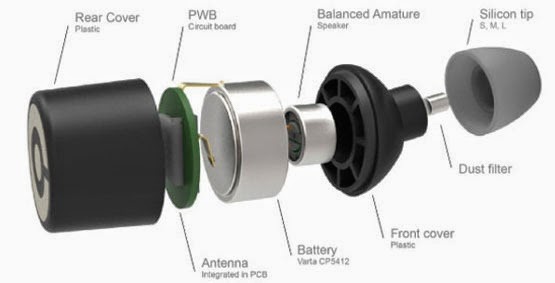 A specialized Bluetooth chip embedded in the left piece receives the signal from the source and then re-transmits it to the right earpiece ensuring stereophonic sound. Moreover, the earphones are so miniaturized that they are hardly visible in the ears. 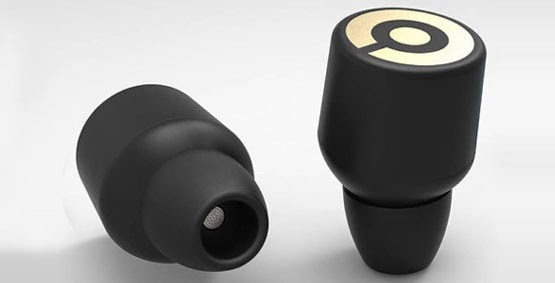 Additionally, these earphones have a slick storage case that doubles up as a charging port. Earin claims that the earphones can go strong for 3-hours with optimum charge. Earin is available on Kickstarter for $137. While the earphones undoubtedly sound cool, just ask yourself this - how can you not manage losing them?